How Much Compensation Can I Claim For A Leg Injury? An accident can be as unforeseen as it can be devastating, both physically and emotionally. Following an accident which has led to an injury, knowing how to cope can be a tricky prospect. Questions concerning legal compensation should almost always be asked. When you have broken a bone in your leg, this is especially true. If you’re considering an injury claim for broken leg issues, this guide is a great place to get started. Leg breaks are some of the most common injuries. According to Department of Health statistics from 2002-3, for instance, 0.7% of all hospital consultations in England were for a fracture of the femur. This amounts to over 600 broken legs every year, more than two a day. In addition, it only relates to one of the bones in the leg. Clearly, broken legs are among the most frequently seen by doctors in the UK. But the damage is not solely limited to your health. A leg break can affect you emotionally, financially, and can drastically alter your quality of life. For this reason, it is important to know whether you could make a claim. As personal injury claim broken leg and legal experts, we have put together this guide for those who might be considering legal action. A claim for leg injury can be based on many different injuries. You might have been at work, in a public place, or anywhere else. But if someone else acted negligently in the run up to your injury, you might have a legal claim for compensation. If you would like to find out more about leg injury compensation claim, irrespective of the source of the accident, then this guide is for you. A guide to accident claims for leg injuries. What to do if you are involved in an accident causing a leg injury. How to begin a leg injury claim. What can be claimed after an accident causing a leg injury? What leg bones do you have? The most common types of leg injuries. Accessing the severity of a leg injury. How much compensation will I get after an accident causing leg injury? Why choose us as your claims service for a leg injury claim? This is a comprehensive guide aimed at making it easier for victims of an accident which has resulted in leg injuries to successfully make leg injury compensation claims. 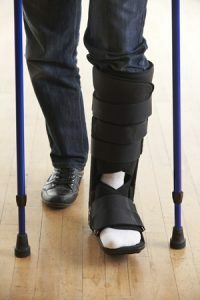 Unfortunately, a lot of people suffering a leg break do not know that they might be able to make a compensation claim. As such, this guide will arm you with the information required to launch a potential compensation claim. In this guide, you will get the most important information about leg injury claims. This includes information on preparing a claim, finding a solicitor, and clarification regarding the legal responsibilities of those involved in your accident. Furthermore, we will discuss the ways in which the severity of an injury can affect a claim and look at potential payouts which have resulted from similar cases. If you believe that you have a broken leg injury claim which might result in a compensation payout, then this guide should help you get started. Take Photos and Videos: It is important to take photos of the accident scene and the injury sustained – especially the areas where there are clear bruises or markings – in order to document them properly. This evidence can form part of your case. Images and videos of the scene of the accident and your injuries can demonstrate potential negligence and the severity of your injury respectively. Get Contact Details from Witnesses: A good compensation case can rely heavily on witness testimonies. If there are people who witnessed you injure your leg, taking their contact details can make it easier to retrieve their stories at a later date. This can help you corroborate your version of events. Keep Any Medical Records: During the case, the severity of your injury will be discussed. This can be determined by doctor’s notes or x-rays. If you have any such records, ensure that you have them kept in a safe place. Find Legal Representation: As we will see below, cases such as this can become incredibly complicated. As a result, you may wish to seek legal representation. We will discuss your options in greater detail later in this guide. The first step, as mentioned above, is to gather evidence. This could be medical records or a witness account, or even just photographs of your injury. Once you have everything you can possibly get, move on to the next step. Now, it is time to reach out to a law firm. We can be contacted through our website or over the phone. In doing so, you can arrange for a free legal consultation at a time which suits you. This legal consultation is the first real step towards winning a case. In this session, we will examine the evidence, listen to your story, and apply our expertise. We will advise you as to whether you have a case and note your options moving forwards. Should you decide to hire our team, there are a number of things we can do next. First, we can arrange for a ‘No Win No Fee’ agreement. This approach ensures that you won’t have to pay until we win the case. Next, we can arrange for a visit to one of the best doctors in your area. The doctor can provide a thorough examination and give you a detailed report on the true severity of your injury. Finally, we can gather evidence ourselves. We can build on what you have brought us and discover every piece of information which is relevant to your case. Once we have done this, we will begin legal proceedings proper. General Damages – This type of claim will involve getting compensation for the pain and suffering you have endured as a result of your leg injury. Generally, it relates to the non-monetary losses you may have incurred following the accident. Care Claim – The care claim has to do with the care and assistance you need as a result of the accident, such as a live-in nurse and the attendant costs. Loss of Earning – Accidents may cause a loss of income both now and in the future. In this case, you can seek compensation for these lost earnings, whether it is because you have had to miss work or have been unable to find employment as a result of your injury. Travel Expenses – You can claim compensation for journeys to and from doctor’s appointments and so on, which could include rail fares or bus tickets. Medical Expenses – You can get compensation for the medical expenses you incurred as a result of the accident. Even if you require a lifelong medical care, you can claim compensation that could cover the future expenses, such as treatment, physiotherapy, and essential medical equipment. Leg injury claims are treated on a case by case basis and the type of compensation claimed will vary. Patella – otherwise known as the kneecap. Femur – the bone found in your thigh. Tibia – located below the kneecap, the larger of the two leg bones and also known as the shin bone. Depending on the severity of the injury, your compensation total can be different with regards to which bone you break. Generally speaking, for instance, a patella injury will pay more than a femur injury of the same severity. We will discuss this in more detail below. Lower Leg: The injuries that affect this area include contusions, shin and muscle bruises, leg fractures, ruptures, as well as calf strains. Stress fractures involving the fibula and tibia are also typically involved in a lower leg injury claim. Knee: This is one of the most common types of leg injury. It includes anterior and posterior cruciate ligament ruptures or sprains, lateral collateral ligament sprains, as well as medial collateral ligament sprains. However, these injuries come with different degrees of severity. There could also be bursitis of the knee or even joint contusions. Ankle: Like the knee, the ankle is also a common type of leg injury. This can include Achilles tendon ruptures, Achilles tendon strain, different kinds of ankle sprains, and even Achilles tendinitis. If you are seeking compensation for a leg break, it is not uncommon for the above ailments to also be present. In the time immediately after a leg injury, it can be difficult to assess the severity of the problem. As well as issues such as swelling, trying to extrapolate the available information in order to determine potential long-term medical conditions can be very hard. When attempting to discern the amount of compensation due to a victim, this is a problem. Whether it’s a broken fibula claim or a broken tibia claim, making a compensation claim without first accessing the severity of the leg injury could be counterproductive. This is why it is important to assess the severity of the injury before making any compensation claim. Normally, leg injuries can be classified as minor, moderate, and severe. As evidenced in the table below, this categorisation can have a big effect on the final total. Undergoing a medical examination (potentially numerous examinations) to ascertain the extent of the injury and even recommend further treatment if needed, as well as physiotherapy. Visiting private health care clinics to get a second opinion. Having follow up appointments to note changes to the condition of the leg and to gather more information. The above reasons are why we spend so much time and effort in arranging for potential clients to visit the best possible doctors. Determining the full extent of an injury should always be a priority early in the compensation claims process. As mentioned above, every leg injury claim is treated on case by case basis. This will likely affect your potential broken leg compensation payouts. However, generally speaking, the amount will depend on the severity of the injury sustained in the accident. In addition, it will also depend on the type of leg injury and the circumstances involved. The table below represents the average possible leg injury claim amounts in order to help you estimate potential payouts. Leg Injury Moderate £21,100 to £29,800 This involves the breaking or fracture of one or both legs that will heal over time as result of injury. Leg Injury Serious £29,800 to £41,675 This involves the loss of function of one or both legs as result of injury. Leg Injury Severe £73,150 to £103,250 This involves the amputation of one or both legs as result of injury. While this table can be useful for providing estimates, it should not be seen as definitive. If you wish to have an expert appraisal of your claim and answer the question of how much is a leg injury claim worth, contacting legal experts is advisable. One of the problems preventing many people from pursuing a compensation claim is the ability to finance the process. The reality is that a compensation claim can be time-consuming as well as expensive, usually due to the legal fees involved. Our law firm is able to offer an alternative, however. We have a ‘No Win No Fee’ arrangement. People who have a strong case but are restricted in terms of paying the legal fees involved can come to us for help. It is a straightforward and simple process, one which we have designed to help those struggling in the aftermath of a difficult injury. If you have lost money due to an accident, this can be a huge help. How does the ‘No Win No Fee’ arrangement actually work? This arrangement is also known as a ‘Conditional Fee Agreement’, or CFA. It means that there is no upfront cost attached to our legal services. Rather, we take the fees from the final compensation amount. This reduces the financial burden on those attempting to make the claim and prevents the possibility of a monetary loss when you are trying to cover your costs. This arrangement is one of the many reasons why you should give us a call today. Hiring the right solicitors can make a huge difference when seeking compensation. Our team of legal experts have the experience and the mindset needed to win your case. As well as our ‘No Win No Fee’ agreement, there are plenty of other reasons why we are the best choice. Our history of success in the legal field forms a fantastic platform for your claim. If you are considering a leg injury claim, we can provide fantastic free consultation sessions in which we examine every last detail of your case. We are methodical, exacting, professional, and thorough. If winning compensation is important to you, hiring our solicitors puts you in the best possible position to do so. We will treat all leg injury claims with the expertise and attention they deserve. Whether it’s a lower leg claim following a accident at work injury, a broken femur claim following a sports injury, or a damaged patella claim following a slip and fall at the supermarket, our team are ready to help. We’ll work hard to make sure your case is put forward correctly. We’ll endeavour to win you every expense and every cost that the injury has incurred. We’ll provide you with the assistance needed to help you recover your health, your reputation, and your finances. This is why you should turn to us when you need legal assistance. We strive to offer outstanding customer service. This means helping you arrange for local medical appointments, provide over-the-phone consultation sessions, and working hard to proceed with a claim in a manner which suits you. Winning compensation for your injury is important. This is why you need the best help. If you would like to hire the right law firm, we are the obvious choice. As you have seen in this guide, working your way through the compensation process for a leg injury can be difficult. If you find yourself suffering in the aftermath of an accident that wasn’t your fault, then we are here to assist you. Our free consultancy session can be the perfect introduction to the benefits of hiring our team, so why not call today? If you want to contact us, there are two options. You can either go to our website and fill out a contact form or you can call us on 0800 073 8804. Whichever option suits you best, we look forward to hearing from you soon. Broken leg or leg fractures can be extremely painful and maybe bruised and swollen. A lot of the time patients can not walk. Leg injuries that are sports injury related can really effect walking and many parts of the leg including the muscles, bones, joints tissues (tendons and ligaments). If you have suffered from a leg injury after a slip trip or fall we could get you the compensation you deserve contact us today. Have you suffered from a leg injury due to medical negligence? this could of happened whilst at hospital or even a misdiagnosis or error from your doctor.